Trim unwanted booty fat and sculpt what’s left. Download and do this 20 min workout to tighten & tone that backside! There are a lot of fun bodyweight exercises in this routine. If you want to kick this one up to ‘intense’, feel free to incorporate a pair of dumbbells in some of the squat exercises. Reserve judgement about this workout until a day or two after…then feel the satisfaction of all that GLUTE work! 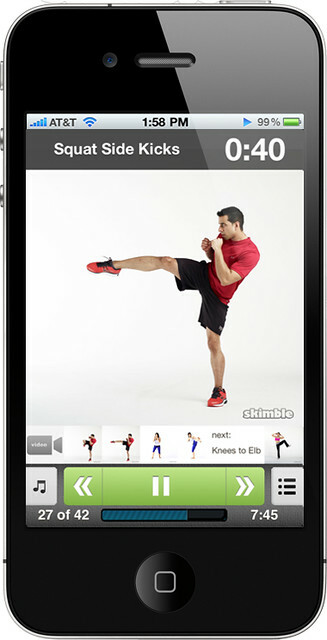 This entry was tagged skimble, workout of the week, workout trainer. Bookmark the permalink.